Poised with understated elegance! 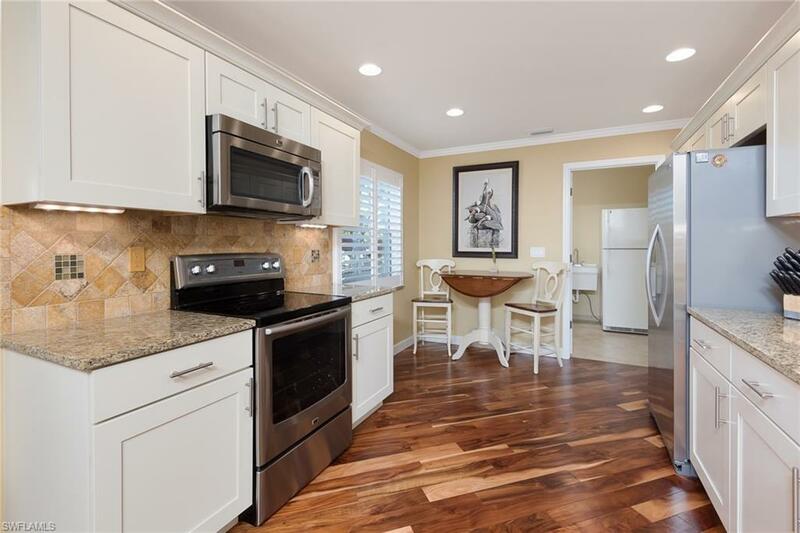 Exquisite COMPLETELY REMODELED 2 BR, 2 BA Villa will captivate you! All new from the studs out! None like it! NO CARPETS HERE! 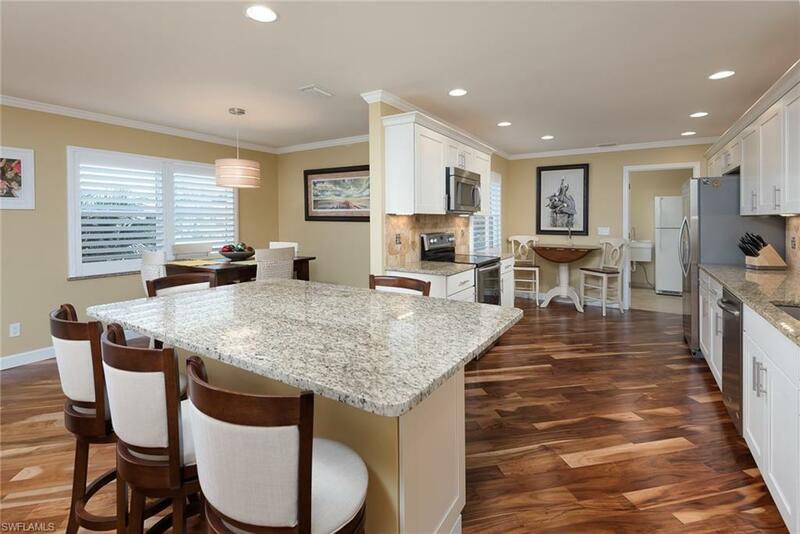 Gorgeous NEW ACACIA wood flooring immediately wins you over. The kitchen is a dream! 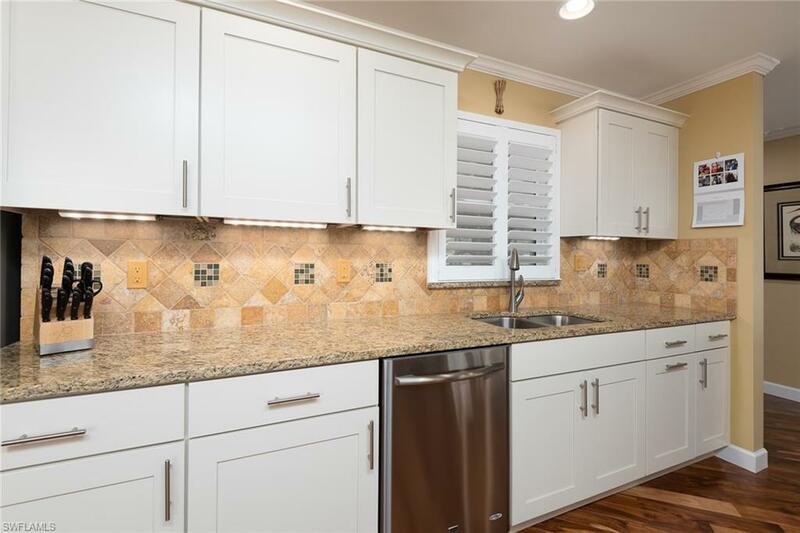 Stylish granite countertops compliment the KRAFT MAID kitchen soft close white shaker style cabinets. Make this your dream home and enjoy all the updates and features including: 2 Ton AC, Air Handler, & ALL Duct Work (Nov. 13); Stainless Steel Appliances (14); R-30 Insulation Throughout (14); Garage Door 2 Insulated Hurricane Rated (15); Maytag Washer and Dryer (15); ALL IMPACT PGT WINDOWS, DOORS, and SLIDERS (16); Brick Paver Driveway, Front Entry, and Lanai (17); Composite White Plantation Shutters Throughout (17); Granite Window Sills; TITAN Roll Down Screen (18); 20 Tiled Garage Floor (18); Electrical Panel & Breakers (18), & so much more we cant list here! Exterior updated as well New Sod in front and side yard, new landscaping, & concrete curbing. 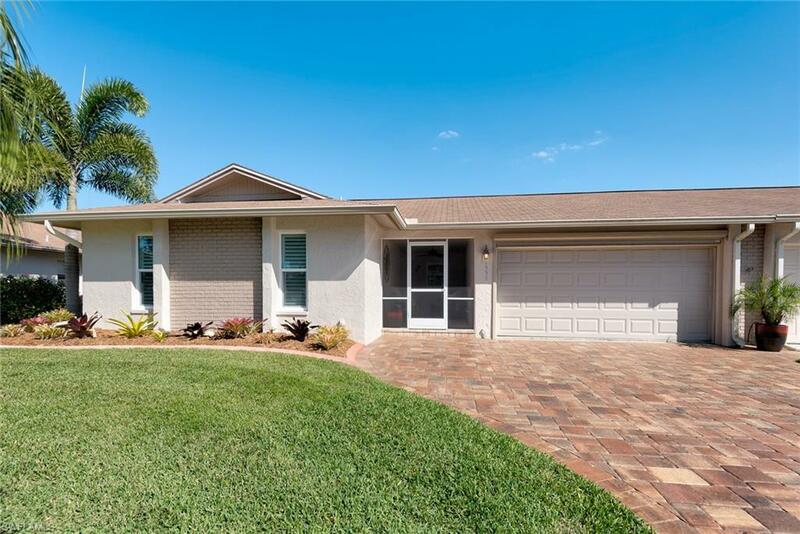 Located in Whiskey Creek Section 8 - offers low fees and remodeled community pool & beautiful common area. Don't miss your opportunity to own the best of the best! Listing courtesy of Bob Oxnard of Century 21 Sunbelt Rlty #1 Inc.